Eco-friendly fabric. Single-breasted styling. 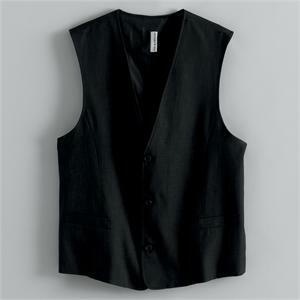 V-neck, three-button closure. Two lower welt pockets. Self-fabric back. Two inner patch pockets. Front and back princess seams. Fully lined with fast-drying, breathable AEROCOOL« lining.